Getting life-saving medications to as many people as possible is the right thing to do. But how can patients and healthcare providers better tailor treatments to a particular disease or condition – particularly when the disease is caused by a mutating virus like HIV? That’s the kind of question innovators like Dr. Imogen Wright, a South African scientist, ask themselves. And that’s how medical breakthroughs occur. 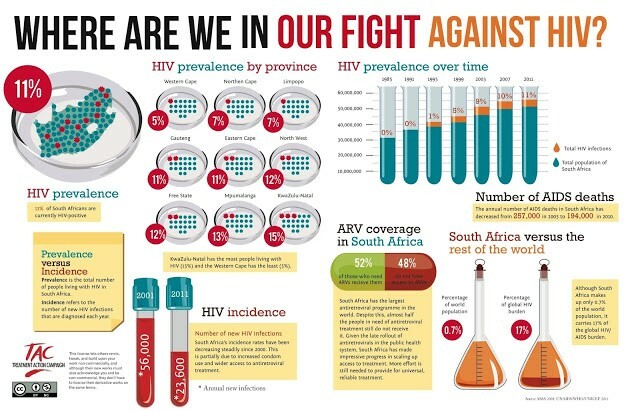 Fighting HIV across Africa and around the world is growing more difficult because the particular strain of the HIV virus patients there and elsewhere carry may be resistant to certain drug regimens. When people living with HIV do not receive the right treatment for the strain of the virus they have, it amplifies drug-resistance. “People take drugs that they are resistant to and those resistant strains tend to grow in their body, and those are the ones that are transmitted. So we make more drug-resistance by not doing tests,” Dr. Wright, who holds a physics and computer science degree Rhodes University and a Ph.D. from the University of Western Cape, tells Forbes. Dr. Wright is tackling this problem head-on. An accomplished scientist with a passion for solving problems that impact human health, she developed a software solution called Exatype that helps determine how HIV positive patients will respond to drug treatment. Exatype was recently recognized with second place in the landmark Innovation Prize for Africa (IPA) program, regarded as the premier award for African innovation. For now, Exatype is primarily directed at effectively managing HIV/AIDS. But it holds the promise to help detect drug resistance for other diseases like tuberculosis and malaria as well, potentially saving many more lives. A strong intellectual property system incentivizes inventors like Dr. Wright as they look for next-generation releases and seek to secure investors. These innovations not only drive medical progress, they improve lives in communities, countries and our world every day.